A while back I wrote about our favourite camping places. There have been times when we didn’t get to a camping place in time and we had to resort to sleeping in the car. Here are our non camping places. 1. In 2003 we arrived at our camping place in the Champagne region of France far too late. The gates were closed and the lights off. So we drove down a country lane and parked close to the grape vines. Trying to sleep in a Skoda Fabia is not an ideal way to spend a night. But at least were in a great part of France! An Opel Mariva in Provence. Not an ideal car for sleeping in! 2. On the same trip we arrived late on the outskirts of Verona after crossing the Appennines in Winter. We stopped in an industrial car-park. Still in the Fabia we tried to sleep, my wife on the back seat and me in the front. I was kept awake by a series of furtive and clandestine exchanges made between trucks. Then a well dressed lady arrived at 2am in a BMW and left in a Mercedes. She returned an hour later and also had me guessing. 3. Previously I mentioned the brilliant camping places in Norway. The truck stop outside Drammen is not one of them. 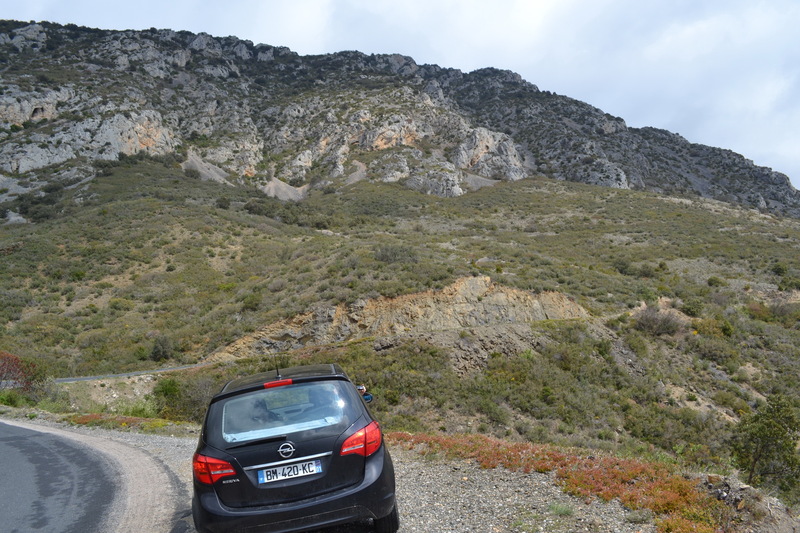 The Volvo S60 was more comfortable than the Fabia but it was still a car. Then again, the continuous heavy rain made the car more preferable to the tent. truck stop just outside Venlo. This is not one of recommendations either. 5. The final overnight stop occurred when we dropped of our daughter in Geneva so she could catch a train to Zurich. We were dead tired as we had already survived a blizzard while driving over the mountains towards Grenoble. That was a harrowing drive with the fog and snow, and quite a few vehicles involved in accidents. We couldn’t stop as there was nowhere, we could see, to leave the road. So finally we arrived at a hotel just outside Geneva without a booking. We were informed that the minimum stay was three nights and the total cost would be well over 600 Euro – and we only wanted to stay one night! I was that tired I couldn’t drive safely any further. So we parked in front of the hotel which was part of a shopping centre and saved 600 Euro. So just as there are some spectacular places to camp, every now and then, the car has to be the last resort – the very last resort!